Chetvergova salt has a name "Caterina" and "black") – salt, "prepared" during Holy week in the night from Wednesday to Maundy Thursday, confers special magical powers. The ancient Slavs used the salt in various rites. Then it was thought that salt repels harmful forces and to protect people. Black salt delicious and healthy. Dishes seasoned with it more fragrant. In order to chetvergova salt turned out delicious and not burnt when cooking, use a cast iron skillet. In the absence of such utensils you can bake the salt in any other thick-walled pot, but it is possible do not use aluminum. 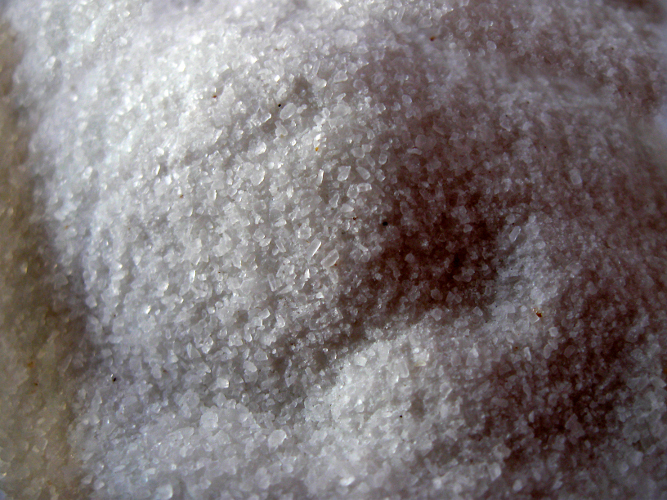 Below the salt by long cooking at high temperatures is not absorbed harmful heavy metals. Pour into a heated pan , salt and rye flour. Gradually increasing the temperature, mix the salt with flour in a clockwise direction throughout the entire cooking time. It is better to use for mixing wooden spoon or spatula. The calcination lasts for a long time and salt with the flour does not darken. As soon as the salt will change color, the stove must be off and ready salt leave on the stove until midnight. After midnight, the salt we need to pour in a thick canvas bag or glass jar, which must also be tightly resealed. Chetvergova salt ready and available for use for human consumption. If you don't have kvass grounds, instead you can use the soaked rye or Borodinsky bread in a ratio of 1 kg of coarse salt – 5 kg of bread. These ingredients are mixed, then the prepared mixture was put in a preheated 250 degree oven and bake until the bread turn black. Thereafter, the mixture need to grind and sift through a sieve. Each village had its own recipe of black salt. For example, in Kostroma in chetvergova salt when cooking, to conventional ingredients were added and herbs: oregano and mint. Hence the name of this salt - Kostroma black salt. For the preparation of chetvergova salt not use fine iodized salt. Black salt is a dark powder gray, sometimes beige or pink color with a smell of hydrogen sulphide (or cooked, slightly spoiled, eggs). It's not salt in the traditional sense, but rather a mineral mixture in which sodium chloride is only one component. In some countries, namely black salt prefer to use when cooking, because it is, according to its adherents, safer and more useful. When we first met the taste and smell of black salt cause rejection, they are so repulsive. The taste is not as salty as other salts and leaves a pronounced metallic taste. Because black salt is of volcanic origin, and the fragrance carries in itself suitable, i.e., is dominated by notes of sulphur, dried garlic and asafetida (spice with resinous garlic-onion smell). However, after heat treatment "bouquet" is a little sweeter and resembles a soft smell of earth. Due to relatively low content of sodium chloride in the composition of black salt, this mineral blend (powder) is the smallest risk compared to other salts. She does not delay in the body fluid is not deposited on the joints. Potassium, iron, iodine and other macro - and micronutrients included in the composition of black salt, significantly improves the digestive system, have a beneficial effect on intestinal peristalsis, thereby getting rid of constipation and excessive gas formation. In accordance with the canons of ancient medical science – Ayurveda - volcanic black salt contains the elements of fire and water and not only supports digestion, but also mental clarity to a ripe old age. 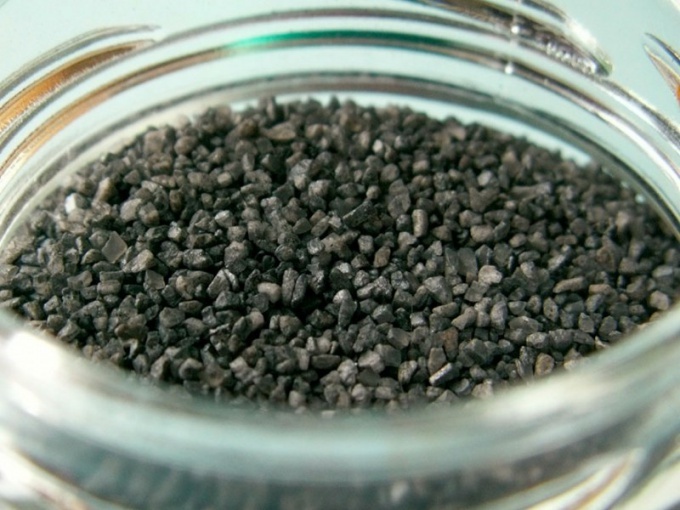 A number of scientists believe that black salt can improve blood circulation, relieve acute poisoning, normalize blood pressure, remove heavy metals. To do this, just in the morning 10 minutes before Breakfast to take inside salt solution (1 teaspoon per Cup of water). A great therapeutic effect produces black salt when taking a salt bath: all mineral substances contained in it enter the human body through the skin. Such baths are shown in asthma, skin diseases, and also for active excretion of toxins. In the countries of Eastern and Asian black salt is often used instead of the usual. Crushed mineral powder, seasoned vegetables, yogurt, be sure to add in chutneys - Indian national condiment made of fruits or vegetables with vinegar and spices, sometimes with honey and curry. Not to be confused with black sea salt volcanic salt, also called black, but prigotavlivaemy hand-made. In Russia traditionally it was prepared in anticipation of Easter on Maundy Thursday. It still bears the name of chetvergova salt. For its preparation take a large rock salt and made it in the oven with cabbage leaves, rye bread, kvass grounds or herbs. After the mixture was charred, it is pounded and sifted. The finished salt was sanctified along with Easter cakes and eggs.